Viking Line’s Gabriella has returned to service with new restaurant concepts and improved passenger wellness services after a two-week dry dock at the Turku Repair Yard in Naantali, Finland. The cruise ferry’s Food Garden restaurant has been converted into the Seafood Bar restaurant. Meanwhile the Bistrotek restaurant has been redesigned as a pop-up street food restaurant that will offer different themed cuisine – the first will be ‘Flavours of Mexico’. Both restaurants will launch their operations under their new concepts from 1 June 2018. 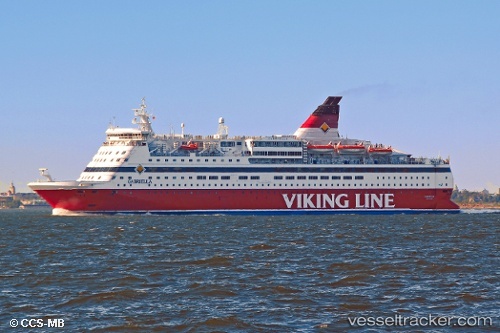 Viking Line cancelled several trips of the "Gabriella" after inspections during a drydocking which started on May 17 at the Turku Repair Yard Ltd. in Nådendal showed that two hard winters had left the ship in Need of maintenance. The rudder stock will have to be replaced and the thruster and propeller shafts needed overhauls. The ship will also be painted. The docking was not planned, but because it found an available service time in Naantali the shipping company chose to carry out the ouverhaul works until May 29, 2013.